SULPHUR SPRINGS, Texas – Legacy Ag Credit, a local rural lending co-op, recently hired Kristal Jackson as a relationship manager and Amy Rayzor as marketing manager. Jackson joined Legacy Ag Credit in February and is working out of the co-op’s Canton branch office. Previously, she worked for the USDA Farm Service Agency, where she was Hunt County executive director and completed training in direct loan making. A Commerce High School graduate, she holds a bachelor’s degree in animal science from Texas A&M University and a master’s degree in agricultural sciences from Texas A&M University-Commerce. “I am so excited to join the Legacy team and thankful for the opportunity to work for an association focused on serving the farmers and ranchers of northeast Texas and the rural communities they live in,” said Jackson. She and her husband, Blake, live in Commerce, where they look forward to raising their new son Brady in the town where they both grew up. They enjoy playing golf, watching sports and spending time outdoors. Rayzor joined Legacy Ag Credit based out of the Sulphur Springs office in April. She previously worked for Priefert Manufacturing, where she was a direct sales manager. She graduated from Belton High School and received a bachelor’s degree in agricultural leadership and development and a master’s degree in agricultural communications, both from Texas A&M University. “I am happy to be joining the Legacy team and look forward to working with the farmers, ranchers and rural homeowners here in Northeast Texas,” commented Rayzor. She and her husband, Austin, reside in Mount Vernon with their three dogs. They enjoy horseback riding, cooking and traveling. 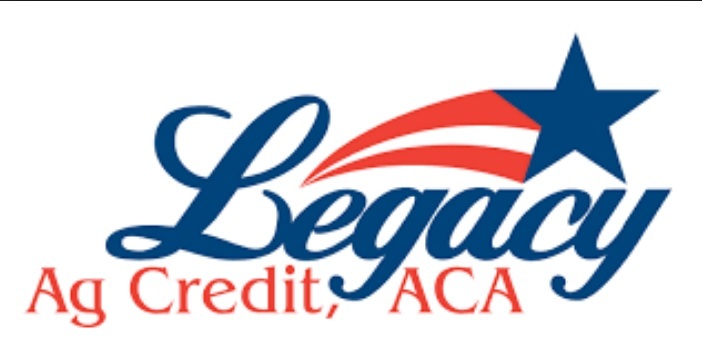 Legacy Ag Credit is a part of the Farm Credit System, a nationwide system of cooperatively owned banks and lending associations. The co-op has been providing farmers, ranchers and rural landowners in Franklin, Gregg, Harrison, Hopkins, Kaufman, Marion, Rains, Upshur, Van Zandt and Wood counties with quality service and a reliable source of credit for over 100 years. Legacy’s lending offices are in Sulphur Springs, Canton, Gilmer, Kaufman, and Longview.